Kenya's Harambee Stars has been drawn in Pool C alongside Senegal, Algeria and Tanzania ahead of this year's CAF Africa Cup of Nations to be held in Egypt starting June. 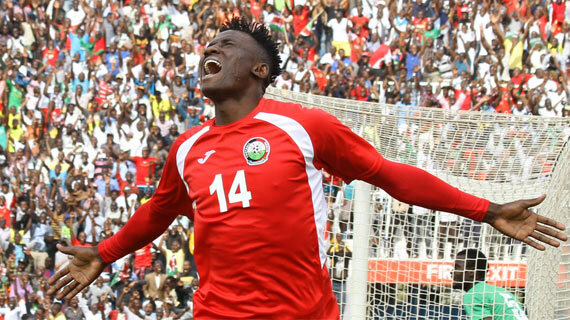 Kenya's soccer team Harambee Stars has been drawn in Pool C ahead of the 2019 Africa Cup of Nations set to be held in Egypt in June. This was announced during the official draw held in Cairo Egypt on Friday 12th April. Kenya was pooled alongside Senegal , Algeria and neighbors Tanzania who are making a return at this competition for the first time in 39 years. Kenya's Matches shall be played at the Air Defense Stadium in Cairo. This will be Kenya's first tournament since 2004 in a new calendar that sees the tournament moved from January to June. It will also be the first time the tournament will have 24 teams up from the previous sixteen. To qualify for the finals , Kenya finished in second position of Group F behind Black Stars of Ghana. Burundi, Madagascar and Mauritania will be making their debut appearance at the tournament.